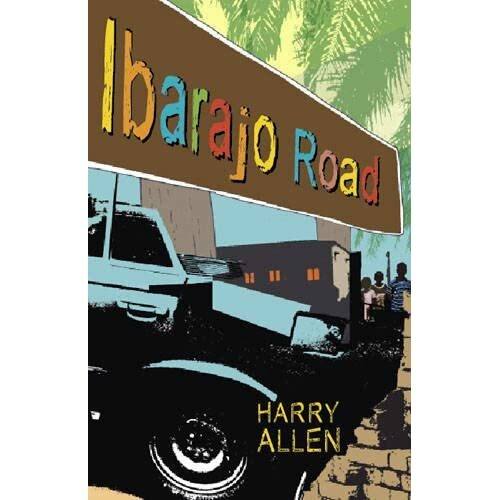 Ibarajo Road from debut author Harry Allen is a darkly haunting story full of riches. Charlie, a rich white kid (an oyinbo), goes out on the town with his mates. It’s meant to be the best night ever. It really isn’t. That night is where everything starts to go wrong and, as penance, Charlie opts to work in a refuge. The refuge provides a place for the homeless, sick, and any orphan children in the neighbourhood. Worlds apart. And Charlie’s time there changes his life forever. I was really intrigued by the description of this novel and hopefully I can review it without going all Gap Yah on you. I’ve worked in Ghana as a volunteer English teacher. Africa is the strangest place. It sears you with memories, both good and bad, and I still remember it with a lot of love. Allen himself grew up in Nigeria during his teenage years and a lot of this is blatantly evident. Although the book is nominally set in ‘Sengharia’, the patois and the overall feel of the book is intensely vivid and read to me as Nigeria under a pseudonym. But I digress. It’s a book full of colour, and heat, and dense contradiction. And I think it’s a book about choices. It’s about reaching the crossroads in your life and making the right choice. Ibarajo Road is written in a quietly, haunting style. You go with Charlie on his journey from rich kid to ‘other’ kid, one who’s seen the world and seen the darkness it can hold. And there’s a lot of darkness in this book – some which is genuinely very disturbing and upsetting to read. Allen works his text well though, making it non-judgemental and quiet throughout. If I were to pull this book up on anything, it would be that it feels slightly over-worked in places. There are a few too many neat endings to too many chapters and a few too many stylistically aware moments that just all feel a little over-written. And, although it may be that I’m simply hanging around with the wrong teenage boys, I am yet to hear one of them refer to a girl’s ‘obsidian’ eyes. Ibarajo Road is a dark, haunting, and actually really rather poignant novel. A very solid 4/5. I know the author of the book and have read it many times, defiantly recommend it.